Tickled to Teach: Hoppin' on the blogging bandwagon! I have spent tons of my free time the last few months checking out teaching blogs. 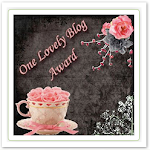 I have found so many amazing blogs and crazily creative teachers! They have inspired me to start my own blog. I am very excited about this new adventure. I have no idea what I am doing, so bear with me. It will definitely be a work in progress!